Manchester United are reportedly preparing for a no-deal Brexit by beginning the process of finding a Spanish feeder club to help them seal transfers for non-EU players in the future. 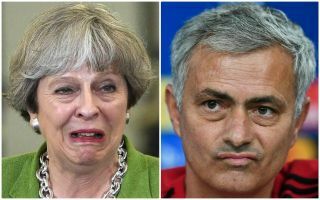 According to the print edition of Marca, with translation from Sport Witness, the failure of prime minister Theresa May to negotiate a deal with the European Union so far means United have had to start thinking of their own solutions to the issue. The report states the Red Devils are keen to set up a partnership in Spain as a priority, as it could help them loan players out while they are unable to obtain a UK work permit. Let’s just hope for United’s sake that Ed Woodward and co. are better at negotiating deals than the PM, who’s running out of time to prevent the country crashing out of the EU with no deal. It will certainly be intriguing to see how Brexit affects Premier League football in the near future, with any fans who voted to leave perhaps set to regret their decision if it means their clubs can no longer sign the best overseas talent.